Another useful build in command that can be used to get information about your current open port is the netstat command. There is a build in command line tool in the Windows and also UNIX operation system that call netstat with this command you can get the current local ip address and the destination ip address that it connected to with the local and destination port that they talk with each other, it is will also show the protocol that they current use, like TCP (Transmission Control Protocol) and the UDP (User Datagram Protocol). and so on, you can search the web for a full list of known ports and the assign name, if it has, that it has, the rang of the ports start from 1 to 65535 ( 16-bit unsigned integer). Press the windows start button (in newer operation system it does not have the word start on it) and in the text box write cmd and press enter. Hold down the window key on the keyboard and press on the R key, this will the run dialog box, in it type cmd and press enter. You can create a bat file, right click -> new text document, give it a name and change the extension from txt to bat, edit the file and type cmd in it, save the file, double click on it will open the commend line, please note that this way you can also right click the bat file and select the run as administrator, if needed. LISTENING – Waiting for connection. ESTABLISHED – connected and transferring date. TIME_WAIT – Hang and wait. Please note that listen TCP port will not have a Foreign Address. This is due to the fact that they wait for incoming connections, and as soon as some connection arrived it can accept or reject the connection and return to a state of listen, wait for the next connection, most of the time when a connection is accepted, the application flow will open a new port to continue the communication so that the listen port will be free to accept new connections. You can also see on the local connection under the TCP protocol that you have an ip of 0.0.0.0 or 127.0.0.1 or your computer ip address or even no ip address, that because all of them represent the current computer, so the ip address is less important as the port it use, all the local address are from your computer. TCP protocol is provides reliable, ordered, error-checked protocol what means that it kind of safe protocol, you know that what was send will be check to verify that it receive as it need to be, and in case of error it will try to resend the problematic data to complete the transit, this can give you an almost guarantee for the delivery of a stream or data. On UDP, due to its nature, we use to nick name it as send and forget. You know that you just send the data, you never know when will it arrive, in what order and if there was any problem in the way. Of course if you decide to build application that use this protocol you can verify yourself of those things. By that you can accomplish a faster protocol then the TCP protocol. One of its common use is to send a message to several client on the same time, like voice etc. If you run the following command line netstat –nab you will also see the responsible process that open the ports, there are some process that manage more than one port, the added ‘b’ parameter is responsible to that, this is a good way to figure out that process on my computer is opening ports . 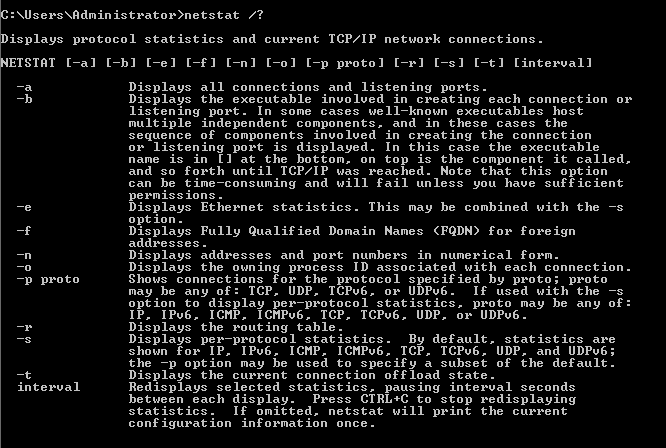 The netstat command line is a great build in tool that can be use to check you current network connections state. I will explore more command line tools that you can use on your computer to get extra information. Command line tools related to network, but not only. You need to learn some more about malware and heuristic virus, to do so, please check my site, as file entropy can be use in a tool that scan for malware and heuristic virus to get extra info about the file.